"Maplestory Installation is complete". Obviously it is not completed if it happens around 30%. Try installing again too see if it works, if not the installer may be corrupted. 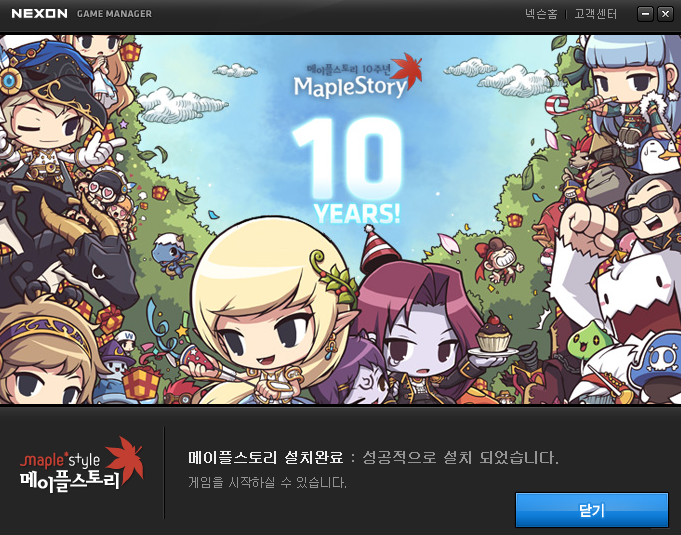 Try re-downloading by using the three links: http://maplestory.dn.nexoncdn.co.kr/MapleInstall.exe , http://maplestory.dn.nexoncdn.co.kr/MapleInstall.z01 and http://maplestory.dn.nexoncdn.co.kr/MapleInstall.z02 .